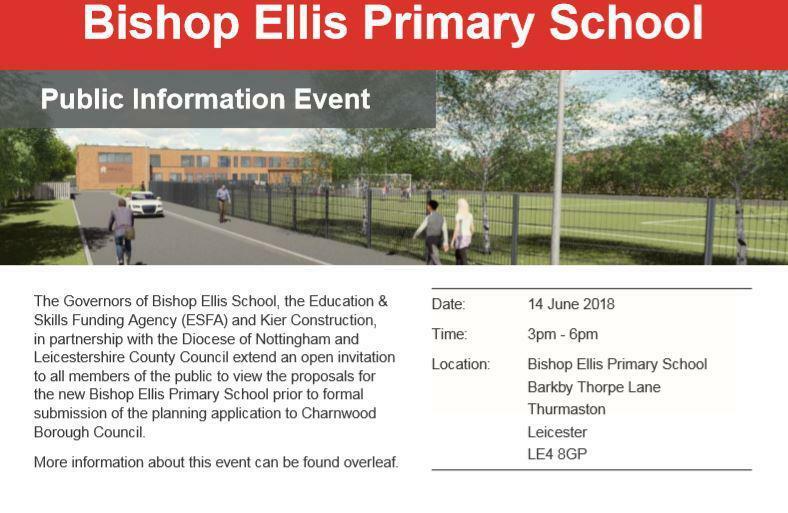 The Governors of Bishop Ellis School, the Education & Skills Funding Agency (ESFA) and Kier Construction, in partnership with the Diocese of Nottingham and Leicestershire County Council extend an open invitation to all members of the public to view the proposals for the new Bishop Ellis Primary School prior to formal submission of the planning application to Charnwood Borough Council. The existing school was constructed in 1969 on part of an extensive former landfill site. These challenging ground conditions combined with ageing have led to significant deterioration of the current school buildings. 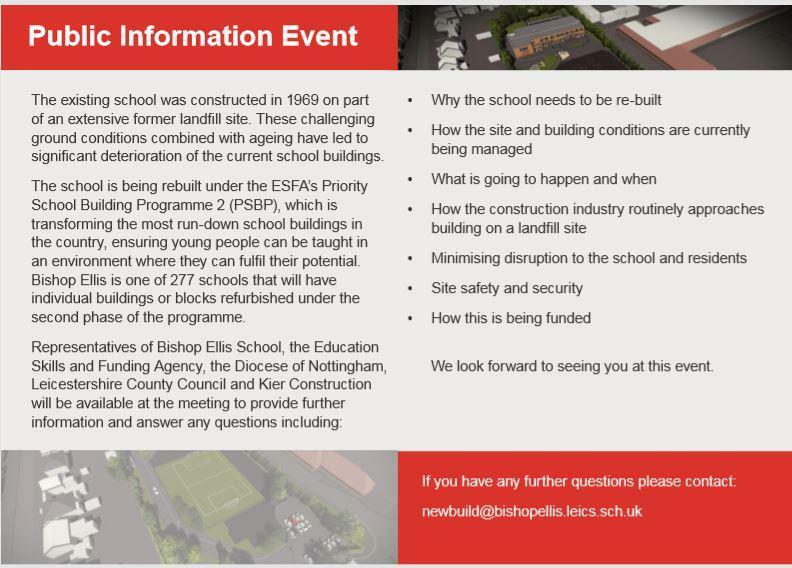 The school is being rebuilt under the ESFA’s Priority School Building Programme 2 (PSBP), which is transforming the most run-down school buildings in the country, ensuring young people can be taught in an environment where they can fulfil their potential. Bishop Ellis is one of 277 schools that will have individual buildings or blocks refurbished under the second phase of the programme.